An Aurora boy who disappeared in 2011 when he was 6 years old has apparently escaped two kidnappers who have held him for the past seven years, according to an Ohio police report. Now, his grandmother hopes the long-lost boy remembers her and they will be reunited. NBC 5's Lexi Sutter reports. A teen claiming to be an Aurora boy who disappeared in 2011 when he was 6 years old has apparently escaped two kidnappers who have held him for the past seven years, according to an Ohio police report. Now, the missing boy's grandmother hopes the long-lost boy remembers her and they will be reunited. The 14-year-old boy told police in Newport, Kentucky, that his name is Timmothy Pitzen and he had just fled from a Red Roof Inn in Ohio and "kept running across a bridge" into Kentucky. 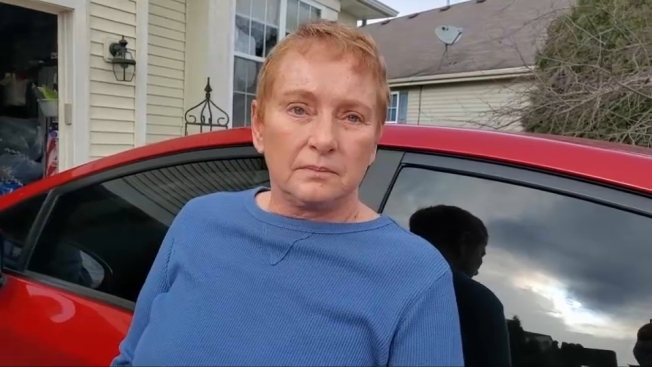 Alana Anderson, Pitzen’s maternal grandmother, said Wednesday she was told a boy claiming to be her grandson was in a children’s hospital in Kentucky. However, Anderson said she's cautiously optimistic, telling The Associated Press "there have been so many tips and sightings and what not and you try not to panic or be overly excited." Timmothy's disappearance has remained a mystery since Amy Fry Pitzen picked him up at school, took him to a zoo and water park in the Midwest before she was found dead of an apparent suicide in a Rockford motel room on May 14, 2011. A note left behind in the motel room said that Timmothy was safe and in someone's care, but the boy was never found. This year would mark his 14th birthday. Anderson told the AP that her daughter was having problems with her fourth marriage and had battled depression for years. Pitzen's family has had many emotional days over the last several years but nothing like this. His aunt, Kara Jacobs, told NBC 5 all they can do now is pray until a DNA test confirms the boy’s identity. "Regardless of what anybody said I knew he was alive," she said. That thought has carried Jacobs and her family through seven years of pain and uncertainty. For seven years, a heartbroken family waited for the call from detectives that finally came Wednesday. “We’ve always felt strongly this day would come," Jacobs said. "When it comes, it’s hard to realize what’s happening when it does come, and we are still waiting to see if it is actually Timothy." Now that the shock is wearing off, the family says the emotions are settling in. They’ve experienced false alarms before, but this lead is the most solid yet. Hesitant to get their hopes up, the family says it is relying on faith. "I would ask for anyone out there to please pray for Tim," Jacobs added. Earlier Wednesday, two Aurora detectives traveled to the Cincinnati area to investigate the teen's story, the Aurora Police Department said. The department said the FBI was also investigating and they hope confirm the boy's identity Thursday. When he went missing, Timmothy stood about 4 feet, 2 inches tall and weighed about 70 pounds, officials said. Anyone with information is asked to call the National Center for Missing & Exploited Children at 1-800-THE-LOST (1-800-843-5678) or Aurora Police at 630-256-5500.